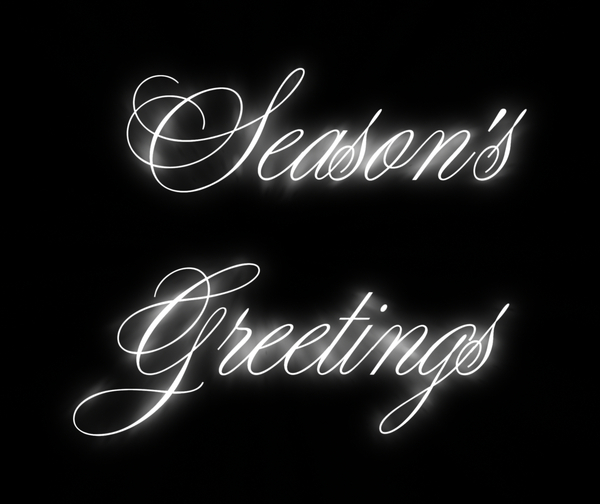 A black and white banner saying "Season's Greetings" for websites, blogs, etc. Can be used for cards or covers. Letters highlighted with glowing lights.